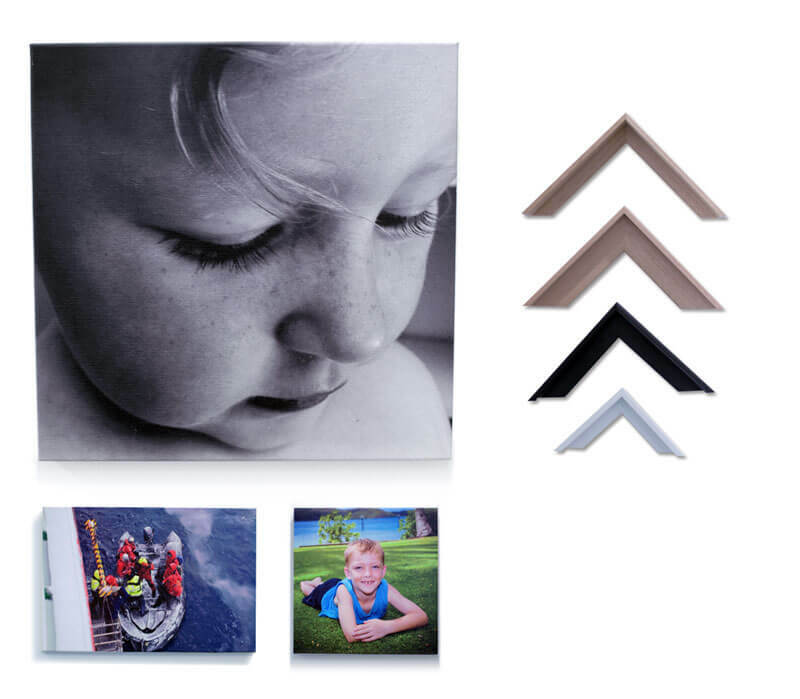 Canvas prints are the latest way to showcase your favourite photos. Our quality canvas prints don’t fade and have a three-dimensional character to them, really bringing your images to life. They are suitable for personal or commercial purposes and can be printed with single images, image montages, maps, illustrations and more. If you haven’t printed on canvas before, then come into our office and see how great it can look! Minuteman Press Frankston are excited about offering a design and print or print only canvas print service. What does this mean? It means we can print your existing photo, artwork and/or illustration on to canvas, and stretch it over a frame, ready to hang. Or, we can work with you to create a unique canvas print you will treasure forever. Our canvas prints come in a range of sizes and look fantastic on the wall at home or in your office, salon, coffee shop or restaurant. All prints are stretched and gallery wrapped over the edge of a timber frame, creating a unique piece of art. Want to transform your precious photo into a work of art with the addition of words, a quotable quote or some graphic illustrations. We can help. High quality, full colour printing on to white canvas, delivering true to life vibrant results. Can be printed in a range of sizes. Portrait or landscape orientation. Stretched and wrapped around a sturdy timber frame, creating a 3D effect. Ready to be installed on your wall at home, work or office. We can even deliver. Contact us today to discuss your project or idea. We’re pleased to provide free quotes on all jobs and have samples available to view at our office. So, what should you consider getting printed on to canvas? Any images that are precious and memorable to you and your family. Whether it’s a landscape photo from a recent holiday or favourite place, some family portraits, or a special photo of your new born baby, these are all worthy of going on to canvas and the wall. Canvas prints are also perfect for business purposes and create an artistic alternative to ‘standard’ signage and displays. Canvas prints come in all shapes and sizes and can be printed full colour, black and white or sepia. For more information, contact us today on 9773 5586 or sales@mmpfrankston.com.au We’re open Monday to Friday, 8.30am till 5pm.